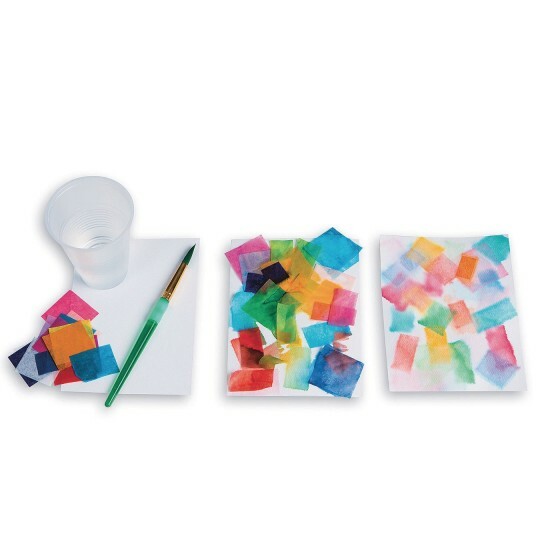 Innovative painting technique made easy with our exclusive Bleeding Art Tissue Painting Squares. We've made it easy for anyone to create beautiful watercolor-looking art by pre-cutting bleeding tissue into 1-1/2” squares. Simply pre-wet the chosen art surface (heavy paper, cardstock, watercolor paper or even canvas sheets all work great) then apply the paper squares randomly or in a planned arrangement. If desired, you can brush or spritz more water over the paper so that it accelerates the color “bleeding”. Pieces can be removed while still wet or after drying. The color will have transferred onto the art surface and a beautiful piece of artwork will emerge! Dye from the paper will stain hands and surfaces so protective care should be taken. Only two materials required to make this gorgeous spring themed artwork with the kids, and mess free too! 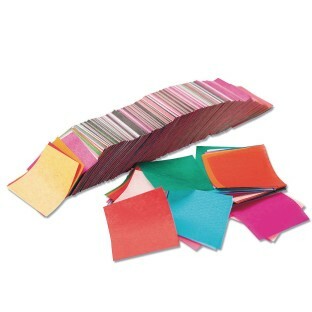 Spectra® Art Tissue Paper 20"x30"